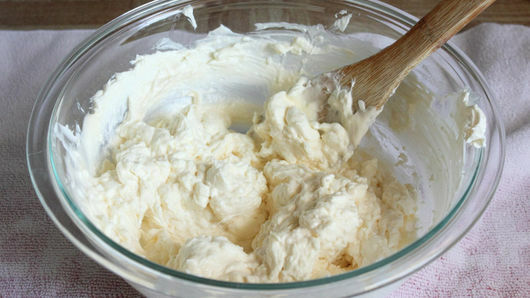 In medium bowl, beat 2 packages (8 oz each) cream cheese, softened, until creamy and smooth. Add 1/2 cup mayonnaise; mix until combined. Place 1 bag (12 oz) frozen spinach, thawed, in center of clean kitchen towel or cheesecloth; squeeze to remove all liquid. 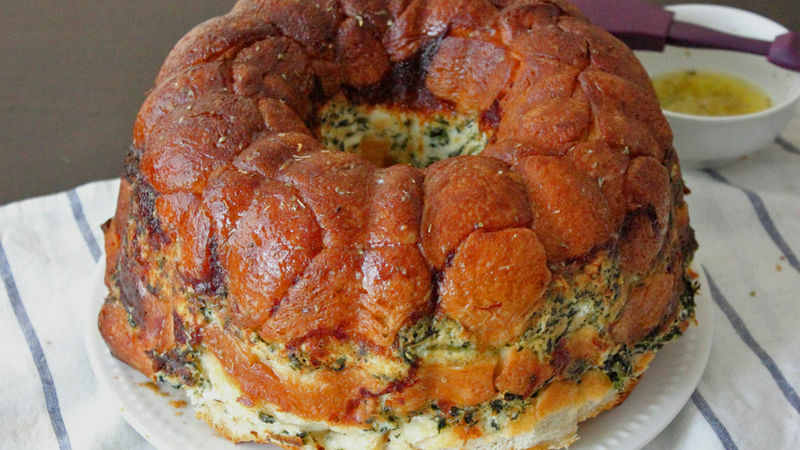 Add spinach and 1/2 cup grated Parmesan cheese to cream cheese mixture; mix until well combined. Set aside. Separate 1 can (16.3 oz) Pillsbury™ Grands!™ Flaky Layers refrigerated biscuits into 8 biscuits. Cut each biscuit into 4 pieces; arrange in bottom of pan. Sprinkle 1/2 cup shredded mozzarella cheese over biscuit pieces. Using rubber spatula, spread spinach mixture over top. 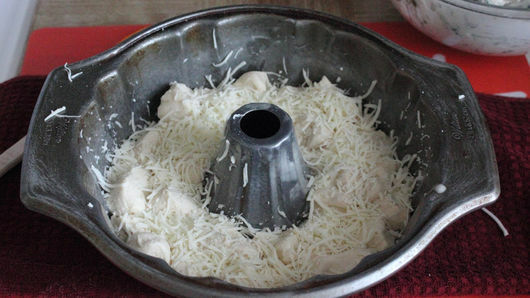 Sprinkle with remaining 1/2 cup shredded mozzarella cheese. Separate remaining 1 can (16.3 oz) Pillsbury™ Grands!™ Flaky Layers refrigerated biscuits into 8 biscuits. 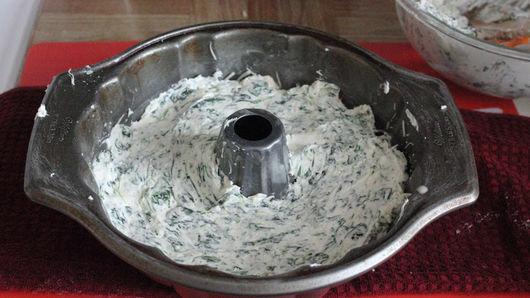 Cut each biscuit into 4 pieces; arrange over spinach mixture and cheese. Bake 30 to 35 minutes or until golden brown. Cool in pan 5 minutes. Place serving plate upside down over pan; turn plate and pan over. Remove pan. Serve warm. Add finely chopped artichoke hearts for added flavor!